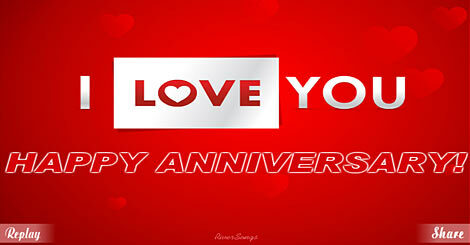 The free anniversary greetings are made to share with mobile smartphones & computers. This includes iPhone, Android, tablets, iPads & windows phone. 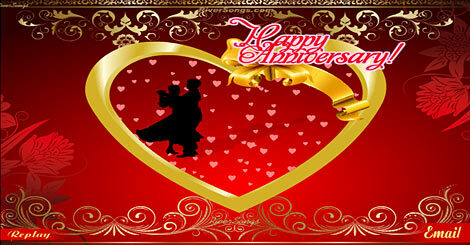 Users viewing mobile anniversary cards will typically view a video greeting card with music, while computer users will view an animated musical anniversary ecard. 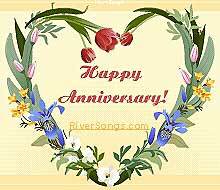 You may feel free to email up to 5 free happy anniversary cards in a 24 hour period of time per sending form, should you need to send more cute happy anniversary greetings, or for any other reason, try the alternate mailing envelope near the plus icon of the free wedding anniversary cards. 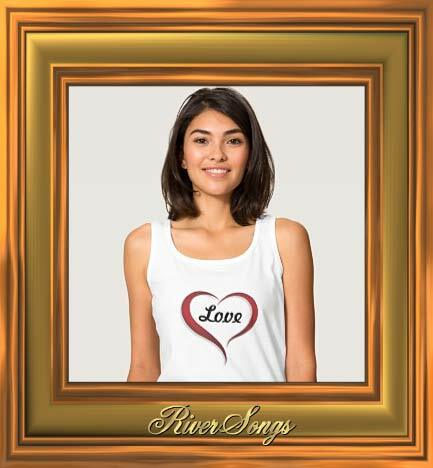 Thank you for using RiverSongs best anniversary greeting cards, wedding anniversary notes, anniversary love letters, and anniversary love cards to express your sentiments and happy anniversary wishes. 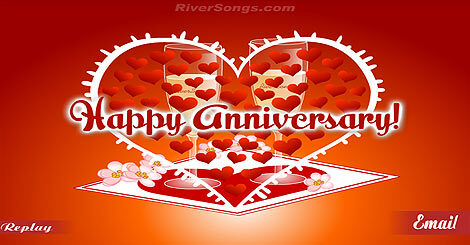 Forever is a measure of time used by people who share an ordinary love. Our extraordinary love is immeasurable ... for us, forever just won’t do.